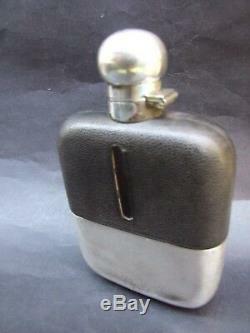 `Antique EPBM Silver leather glass pocket spirit flask. 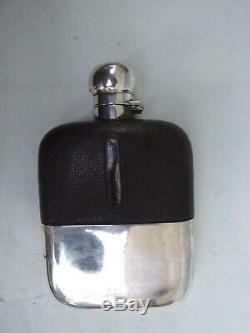 Made by Hardy Bros England inscribed 1927's. 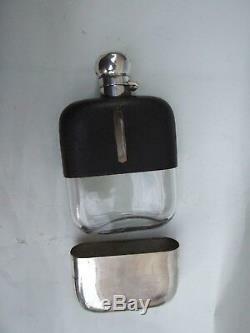 Superb antique spirit flask with twist top lock-up a system with cork inside. 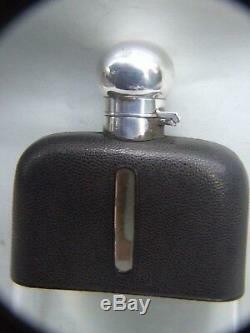 The flask is steamed underneath 7.15 Pt - HARDY BROS Ltd. EPRM Made in England and more see pictures hallmarks pls. 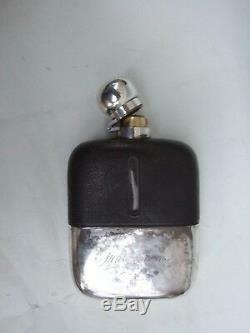 Size ; 17cm (6.5'')high x 11cm (4.5'') width x 4cm (1.5'')deep. 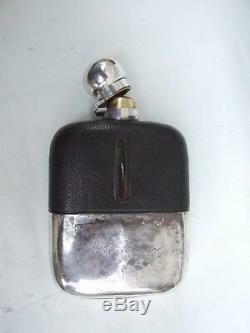 The spirit flask is in very good vintage condition (no cracks chips). 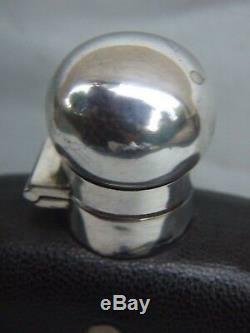 Has been repolished to its original condition. 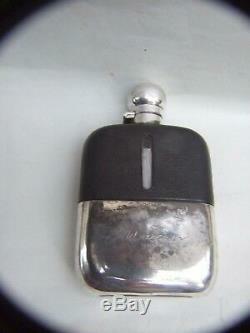 There's hand inscription in the back with 1926 date. 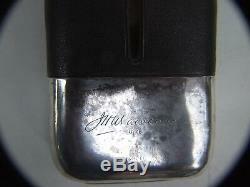 The plating is slightly worn due to the popularity of the item in past time. A GREAT ADDITION TO ANY COLLECTION. 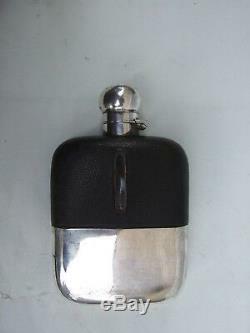 The item "`Antique EPBM Silver Glass Pocket Spirit Flask Hardy Bross Inscribed 1927's" is in sale since Thursday, September 13, 2018. 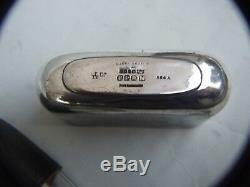 This item is in the category "Antiques\Silver\Silverplate". The seller is "towers539" and is located in Sydney. This item can be shipped worldwide.